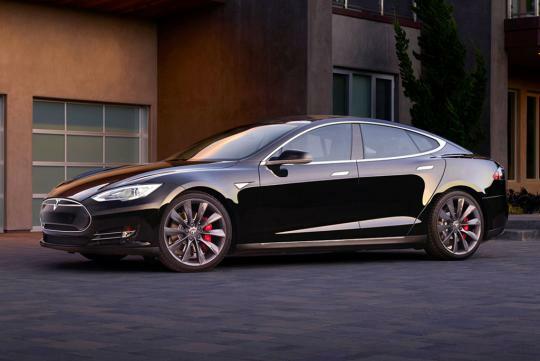 Tesla has been trying to find a way to make the Model S P85D faster. And with the new P90D and a new ‘Ludicrous’ mode, they have done so. With this upgrade, the P90D, when specced with the 'new ‘Ludicrous’ Speed option, will make the Model S 10 percent faster from zero to a hundred (achieved in a scant 2.8 seconds) and will do the quarter mile sprint in 10.9 seconds. As a comparison, a 730bhp Ferrari F12 can only do the same quarter mile run in 11 seconds. Geeks out there will be pleased to hear that the electric car will also hit 1.1g during the sprint. The new Tesla flagship can now reach 250km/h 20 percent faster than the ‘normal’ 691bhp P85D as the upgrade raises the total output to 762bhp, with 503 of the horses coming from the rear-mounted motor and the rest of the 259 horses from the front one. Existing P85D owners will be glad to know that they can have the upgrade retrofitted in their cars for S$6,800 and only in conjunction with the new, larger 90kWh battery pack which will also increases the range by 5 percent. This brings the total range up to 480km. The 'Ludicrous' mode will be a $14,000 option for new P90D owners. Ludicrous speed. Awesome. Reminds me of Spaceballs.